A secret wedding, a new family home and my growing baby bump! Wow, didn’t Christmas come and go so fast and then we all welcomed in the New Year and the horrible weather – it seems to have rained everyday day since! The week before Christmas was really busy for me with Anton and Erin’s Christmas cracker at the Royal Albert Hall. We had three shows to perform and at 22 weeks pregnant I was slightly nervous that my stamina would not hold up. We did alter the show slightly and took out some of the big lifts, (mainly for the benefit of Anton’s back!) and I must say it was incredible. As we danced around the stage accompanied by a 60-piece orchestra, 2 choirs, the wonderful Lance Ellington singing and 4,000 people watching each performance it was a rather magical experience. We also sang carols and got everyone in the mood for Christmas. Sadly it will be my last performance before baby arrives as my bump is just getting too big, my centre of gravity is changing and I don’t fit the dresses anymore! Between Christmas and New Year we attended the secret wedding of Jimi Mistry and Flavia Cacace (don’t worry it’s not secret anymore). It was the most beautiful winters wedding and they both looked extremely happy. 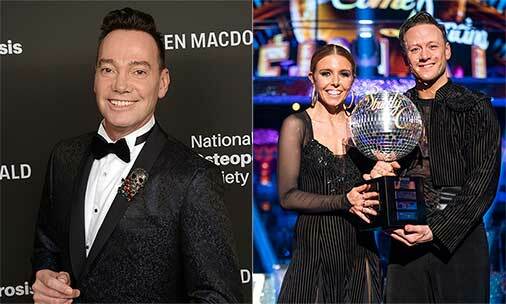 Even when they met on Strictly Come Dancing you could tell that they had a spark between them and now finally they have tied the knot. I do like a happy ending! I wish them all the happiness for their future together. I am now 24 weeks along and what started out as flutters in my belly at about 18 weeks has now evolved into getting kicked all the time. It is a very strange but warming feeling and always excites me when I feel a kick. My husband Peter felt it at about 22 weeks and now loves feeling my belly every time I say the bump’s awake. I think when you both feel it together it seems to bring you closer, if that’s possible, and you also feel a growing bond with the baby. Midway through last year we bought a new house that will become our family home. It is the perfect location for us; the only problem is it needs major renovations to make it the house of our dreams. We have had the plans drawn up and got our builders in place and have now started the massive project that it has become. When I said it needs renovating I mean we are giving this house a major face-lift and are extending sideways, backwards and up – eventually doubling it in size as well as dragging it kicking and screaming into the 21st Century. It will be our new family home and is going to be ready hopefully about the same time the baby is due. Slightly crazy I know but exciting at the same time. I have had a keen interest in property for a long time and have purchased and renovated many properties but never a job as big as this. I can’t wait to decorate the nursery. 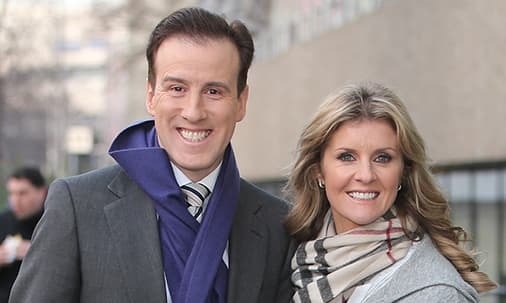 Anton Du Beke, my professional dance partner, is getting ready to go out on tour. It starts in less than two weeks and for the first time in 17 years I will not be by his side. The size I am now you would have to roll me on and off the dance floor. I am however still heavily involved acting as lead ballroom choreographer and creative coordinator for the numerous costumes required for the show. I know Anton will be great and everything will be just fine without me but I still worry about who is going to keep him under control on stage!! He does love being out in front of an audience and sometimes does not want to get off but that’s Anton for you and I’m sure the audiences will love him. As time is ticking along so quickly and the due date is getting closer I feel I still have a lot to fit in before this baby arrives. People say how important it is to take a “babymoon” (last holiday) before the baby arrives – so Peter and I have planned a little trip home to New Zealand in a few weeks time. Also more importantly I need to start thinking about a birth plan, baby buggies, cots, and car seats. I must admit that I don’t really know where to start on some of these things so all advice is welcome! One thing I have been advised on and that is a 4D baby scan which you can have from 24 weeks. I have that booked in this week and cannot wait to see what my baby looks like. I will keep you all posted with my plans and scans soon. Pat Blae on 38 weeks gone, the countdown has begun…. Yvette on 38 weeks gone, the countdown has begun…. Susan Butterfield on 38 weeks gone, the countdown has begun….